With the advent of YouTube and Instagram, videos have become extremely popular for recording events and information in everyday life. While many cell phones offer video capacity, and a large number of cameras now offering video features, the prices of dedicated camcorders have been reducing rapidly. This has also put pressure on camcorder manufacturers to produce products that produce better quality videos with features that are not found on cell phones and cameras. The video quality and image stabilization for dedicated camcorders keep consumers clamoring for top quality devices. We have selected the best camcorders on the market. One’s that will produce high quality videos, user friendly designs and well-made camcorders that will provide you with great videos your friends will love to watch. 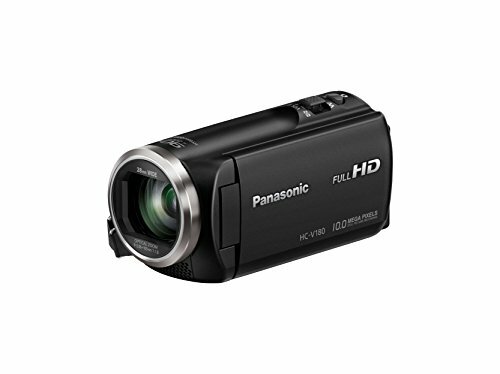 The Panasonic Full HD Camcorder records in full HD directly to a removable SD card for fast and easy sharing of videos. Choose from full HD, AVCHD or MP4 recording depending on your video needs. The Panasonic Full HD Camcorder has 3.28 MP using a CMOS Image Processor to create clear and vivid programming. There is 90X Advanced zoom for getting close to the action, without having to be physically close. The wide angle lens is expandable to 28mm lens. This feature makes it easier to catch all the action in the frame. The video is clear and stable even at the wide end of the zoom. The camcorder includes a Super Range Optical Image Stabilizer for steady and blur free recording. It comes with a 2.70 inch LCD touch panel for easy viewing and following the video. The camcorder also offers continually variable Zoom Speed settings with 15 different level options. The Sony HD Camcorder has a 2.7 inch Clear Photo LCD display. This allows you to see all of the action while recording clearly with accurate colors. It has two built in microphones for recording sound. The Optical SteadyShot Image Stabilizer creates a steady focused shot even when the person recording, or the object recorded is not steady. 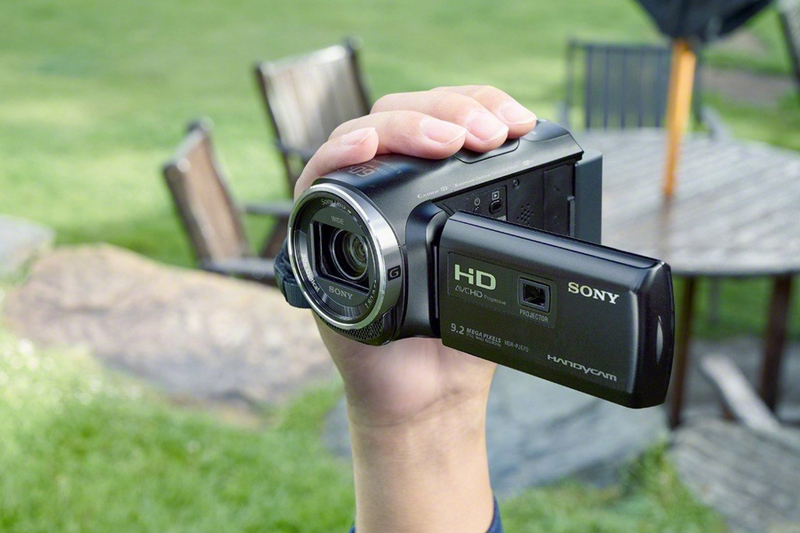 The Sony HD Camcorder comes with a 30X optical and a 60X extended zoom for getting close to the action. The recording is a full HD with 1920×1080 with 8.9 MP Exmor R CMOS Sensor. This advanced processor creates a clear and vivid picture during recording. 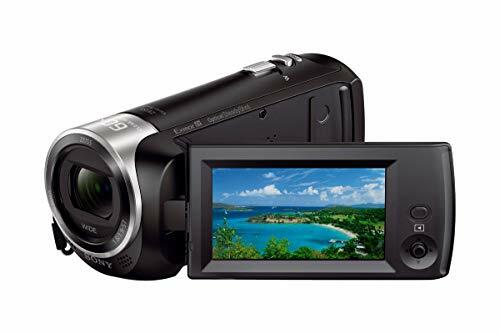 The Sony HD Camcorder has the ability to record up to 3 hours of video per charge and comes with a 32GB SDHC card of recording storage making it easy to transfer and share videos. The camcorder comes with a micro HDMI cable and a replacement battery. The Sony 405 HD Video Recording Handycam Camcorder has a 2.7 inch LCD screen to create easy viewing for the videos you are taking. The Clear Photo technology provides sharp, vivid images that can be viewed on the screen even outdoors in the bright sunlight. The high definition processor produces 1920 X 1080 Full HD resolution video. With 9.2 MP you gain clear video even when the zoom is used. The Sony 405 HD Video Recording Handycam Camcorder has a CMOS Sensor which provides high quality processing and produces clear and crisp color videos. The camcorder comes with a SteadyShot image stabilizer, which reduces blur. The camcorder has a 27X optical zoom and 54X extended zoom for getting a close video, even when you must stay at a distance. 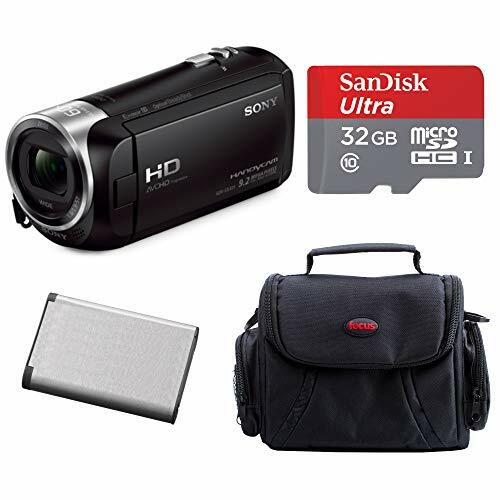 The Sony 405 HD Video Recording Handycam Camcorder includes a 29.8 mm wide angle Carl Zeiss Vario Tessar Lens. This lens is a professional quality lens specifically designed for compact camcorders. It provides precision optics that maintains the sharpness of the video. For video quality choose from HD, AVCHD, or MP4 technology depending on your sharing needs. AVCHD provides a premium video made for watching on large screen TV. MP4 is perfect for instant sharing on social networks, or storing online.